Licensed in Florida since 1985, Anné Desormier-Cartwright began her practice as a real estate, landlord tenant and commercial trial lawyer. Since 1994, her practice expanded to include guardianship, mental health, probate and trust administration and trusts and estate planning and as well as Special Needs trust, Medicaid and Veterans Benefits Planning. More recently, she started helping clients with remedies for elder exploitation. She has been appointed to the Guardianship Education Committee for the Palm Beach County Bar since 1998. She also serves on the Probate and Guardianship Practice Committee of the Florida Bar and is a member of the Real Estate, Probate and Trust Section of the Florida Bar and the American Bar Association as well as the Elder Law Section of the Florida Bar. 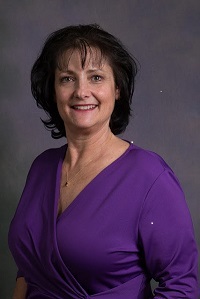 She is now the managing partner of Elder and Estate Planning Attorneys PA.
She is a Charter member of Elder Counsel, a nation wide association of elder law attorneys focused on the changing laws affecting the elderly. She also is a member of Wealth Counsel and Advisors Forum which focuses how the laws affect wealth planning and distribution of assets throughout client’s lives and at death. Mrs. Desormier also enjoys active memberships in NAELA and AFELA, the National Academy of Elder Law Attorneys and Academy of Florida Elder Law Attorneys, respectively. These organizations lead the way for understanding and preparing legislation to address the complicated issues our elderly population face as they age. She is a 30 year member of The Greater Palm Beach Chapter of National Association of Women in Construction and has served on the Board of Directors in various capacities. She continues to be a member helping members in their business succession, estate planning, elder law and real estate needs. Currently, the office has well experienced staff who work in the areas of estate planning, Medicaid and Veterans Planning and probate, estate and trust administration.